As kids, my brother Jack and I always played cowboys and Indians, because we didn’t have computer games, heck we didn’t even have television until we were almost teenagers! But we had a local movie theater where we saw a lot of cowboy and Indian movies. The cowboys were always the good guys and the Indians were always the bad guys, worse than bad guys, they were portrayed as ignorant savages! 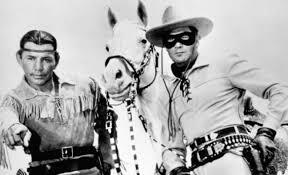 When we played, of course I always wanted to be the cowboy and I was, because Jack always wanted to be the Indian, even though he knew he was the underdog and would ultimately lose. Because he was my older, bigger brother, he may have won a battle or two with me, but in the movies the Indians never won, but that didn’t stop him from always rooting for them. This was long before ‘political correctness’ necessitated our empathy for the plight of the Native American. So growing up I always thought that Indians were a savage people that we needed to eliminate in order to carry out our ‘Manifest Destiny’. Apposed to William Cody who was purported to have killed 4,282 buffalo in 18 months and in a contest for the rights to use the name ‘Buffalo Bill’, killed 68 buffalo in an hour; and left them on the plains to rot. Over the years I’ve become more sensitive to the Indian’s plight, reading several books about their struggles to keep their culture alive here in their native land; my eyes were also opened during a hike through the Havasupai Indian reservation in the Grand Canyon area where I witnessed how we have failed to assimilate these Indians into our culture and how it has adversely affected them. So on the Friday after Thanksgiving I felt the need to do a little more research on a local Indian tribe named the Payomkawichum, which translates into ‘People of the West’. To say these people are indigenous to southern California is an understatement, they’ve inhabited the land here for over 10,00 years. Their name was changed by the Spaniard missionaries to the Luisenos, probably because Payomkawichum was too hard to pronounce. 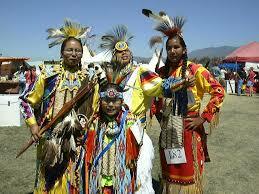 Now they are more familiarly known as the Pechanga Indians – officially the Pechanga Band of the Luiseno Indian Tribe. 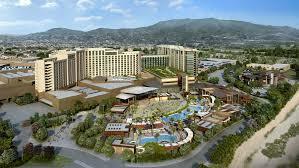 My research took me to Temecula and the largest Indian casino in California, Pechanga Resort and Casino. Immediately sensing that I needed to spend more than one day doing my research, I booked a room for two nights. I discovered that apparently these Indians were really into games of chance as there were over 3,400 slot machines in the place as well as tables for blackjack, poker, craps (not with dice, that’s illegal for some reason!) and various other wagering games. Now, being empathetic to the Indian cause thanks to my brother, I felt obligated to contribute in some way to their well-being. I was comfortable at first with my initial financial donation, but after the first day of ‘research’ I found that I was being more philanthropic than I had anticipated. 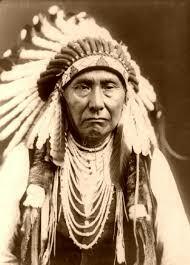 Thinking of everything, the Indians were able to provide me with a handy ATM machine to access more donation funds. I slept well that night, knowing that in some small way, OK maybe not so small, I had helped provide shelter and sustenance for some Native Americans. I knew that in games of chance you win some and you lose some and I was now positioned to ‘win some’. Saturday came full of hope and the good feeling of knowing that I had donated significantly to a worthy cause and perhaps I would be rewarded with a small token of appreciation. Those damn Indians! Where was my ‘win some’?! I pay $7 for a beer and over $450 a night for a room and this is how I get rewarded? I guess this is what I get for always being the cowboy as a kid. Great post! Twist toward the end was unexpected and hysterical!